Caramel Apple Rings are one of my kiddos favorite after school snacks. 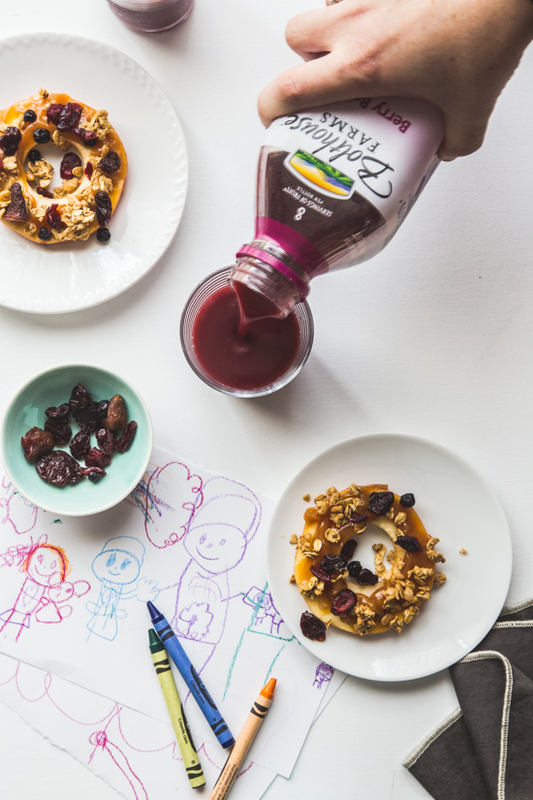 Slices of apple, spread with sweet caramel dip and sprinkled with crunchy granola and dried fruit come together in the perfect sweet and crunchy snack. I have something really cool to talk to you about today: healthy kids. Yup, healthy kids are pretty awesome! 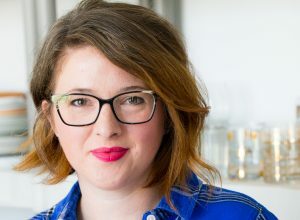 As the mom of two kiddos, I do everything I can to keep them as healthy and happy as possible and what goes on their plates is a huge part of that equation. We’re no strangers to fruits and vegetables and I am always bursting with pride every time my kids try a new veggie *ahem*kale*ahem* and love it! Everyday when I pack the buddy’s PlanetBox Lunchbox I always pack no less than two compartments with fruits and veggies. Whether it’s cucumber slices with hummus, apple slices or carrot sticks the two fruits and vegetables is a must. And in all honesty, it’s the two things he eats first. Like I said, I’m a lucky mama to have such good eaters. Recently, I got invited by Produce for Kids to share with you their awesome campaign Healthy Families, Helping Kids that they are running along with Meijer stores and some wonderful produce brands like Bolthouse Farms carrots and juices, Mariani dried fruits and Michigan Apples. 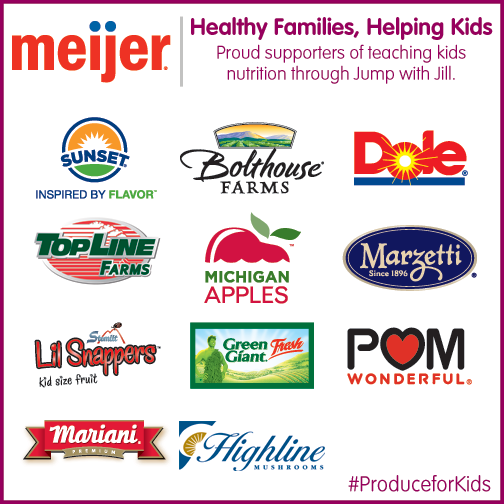 From now until September 27th, select produce brands found in Meijer stores here in the Midwest will make a consumption based donation to Jump with Jill, a music based health program for kids. Since 2002, Meijer has raised more than $1 million for local children’s organizations! So if you’re a Meijer shopper like me, be sure to look out for all of the Produce for Kids signs that you will see in the produce section and know that your purchases of these products will not only help local children’s organizations, but will give your own family some healthy food to enjoy. Not a bad deal, huh? Last weekend when we were shopping, we picked up these adorable Lil Snapper pears and some of my favorite Michigan Gala Apples. 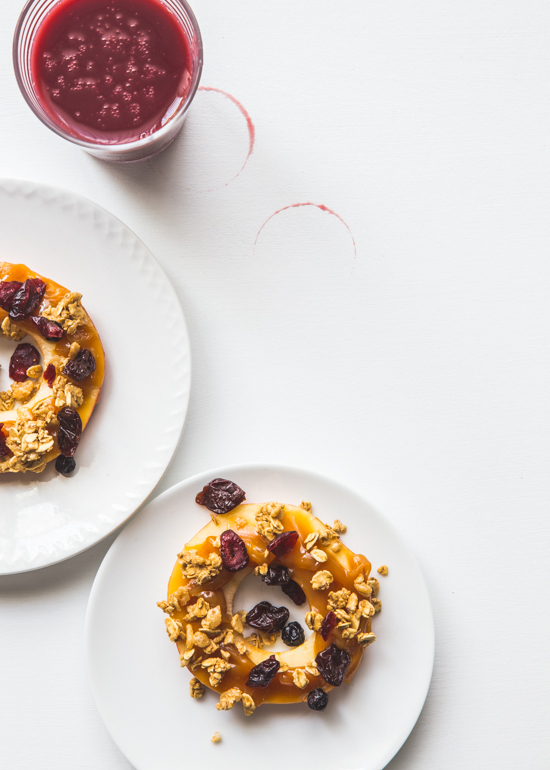 We got home and made these super easy caramel apple snacks complete with a dollop of Marzetti caramel dip, a sprinkling of granola and a few Mariani Berries ‘N Cherries. These snacks are not only great for kids, but I have to admit that I ate my fair share, as well. Crunchy and sweet – what more could a girl ask for? 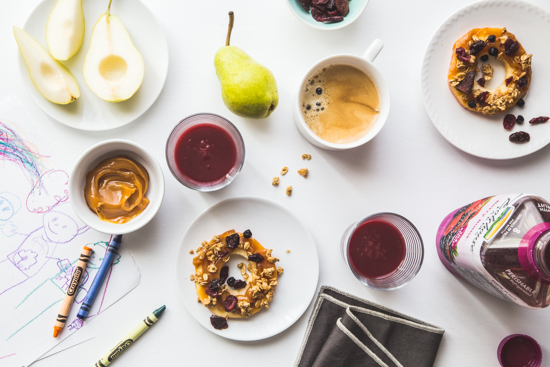 Want more healthy snack inspiration? Be sure to check out the Produce for Kids website more than 150 RD – approved recipes including The Very Healthy Caterpillar snacks! These are too adorable for words. For more information about Produce for Kids and their Healthy Families, Helping Kids campaign, visit their website or find them on Facebook, Twitter and Pinterest. Spread each apple slice with 1 tablespoon of caramel dip. 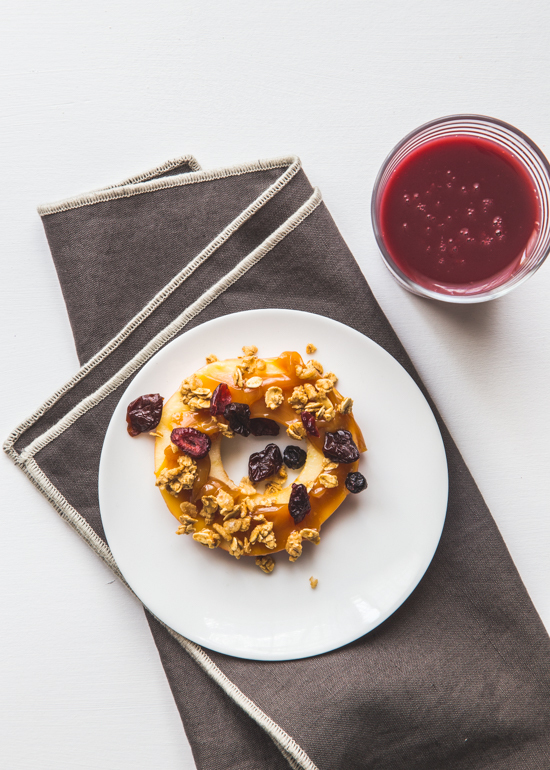 Sprinkle each apple slice with 1 tablespoon of dried fruit and 2 tablespoons of granola. Enjoy! Disclosure: I received a Meijer gift card to cover the costs of the ingredients for this post. The Produce for Kids campaign is one that I feel strongly about supporting and wanted to spread the word to you. All opinions are, as always, 100% my own. Such a great idea, my sons would love these!! My whole family will love these; thanks for sharing such a healthy wholesome snack!